Enjoy comfort & relaxation all year round as you unwind in one of our summer houses or gazebos. Whether socialising with friends and family, or throwing a garden party, nothing beats having a summerhouse in your garden. Our finely crafted summer houses are the ideal sun trap to take advantage of the good weather, and are available in a wide range of sizes and designs. They are constructed from high quality timber and are designed to enhance the elegance of your garden or patio. Our unique styles are built to last and will guarantee you pleasure and reliability for years to come. Also available with decking and verandas on some models. 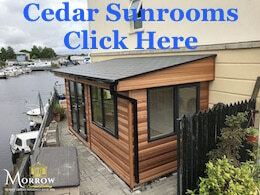 All our summer houses, log cabins and gazebos are well-built and feature-rich, full of quality components, for long life and trouble free enjoyment. Our summer houses and garden buildings are ideal for creating that luxury space to unwind or pursue your hobbies, and are perfect for kids. We can create bespoke summer houses for those who have a vision they want to bring to life. If you’re looking for that “bit more”, be it large or small, we can help! So, if you’re looking for a bargain, but you still want the best summer houses and gazebos you can get, then you’ve come to the right place. Large or small, traditional or modern & contemporary, we’re here to give you a great choice of styles at discount prices. Although we are one of the best places to get cheap summer houses, we don’t compromise on quality. Why pay more elsewhere for the same, when you can get the best value here, in terms of build and materials?